These cables for decentralized installation and control technology are used in plug systems, sensors and actuators. 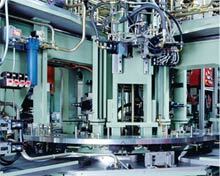 They constitute an important connecting element between the periphery and the PLC in production systems. While previously it was necessary to carry out time-consuming wiring of switchgear cabinets and machines, now field bus technology has made it possible to move the periphery interfaces from the switchgear cabinets to the machines and systems. reducing costs, not only in the field of automation technology, but also in the entire manufacturing industry.